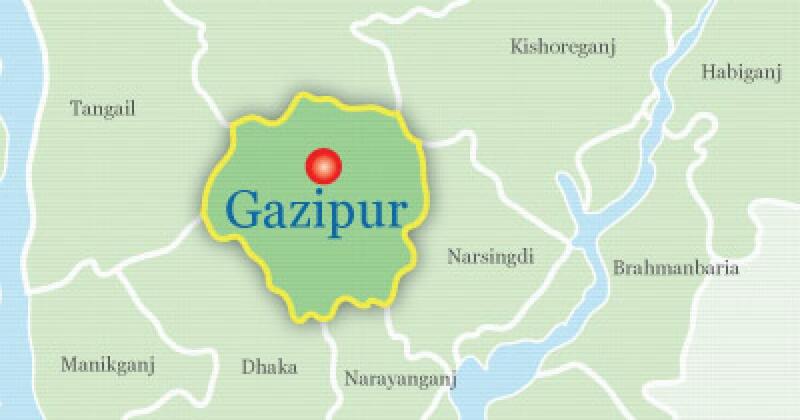 Police recovered the throat-slit bodies of a woman and her daughter and the hanging body of the woman’s husband from their house in Haidorabad area in Gazipur city on Thursday morning. The deceased were identified as Kamal Hossain, 40, son of Abul Hasem, his wife Nazma Begum, 35 and their daughter Sanjida Kamal Rimi, 18, a 1st year student of Uttara Bangladesh Medical College. Shafiqul Islam, sub-inspector of Pubail Police Camp, said Mahmuda Begum, wife of Kamal’s brother, found the light of Kamal’s house switched on at 10:30 am while she was returning home after dropping her daughter at school. She peeped through the window to find Kamal’s body hanging from the ceiling. Hearing her scream, neighbours rushed in and entered the house breaking the grill of the window and found the slaughtered bodies of Nazma and Rimi lying in a pool of blood on the floor. On information, police recovered the bodies around 2:30pm, said the SI. Claiming it a planned murder, locals and relatives demanded proper investigation into the incident.